Egyptian security forces reportedly uncover ISIS cell which plotted to kill Hamas leader. 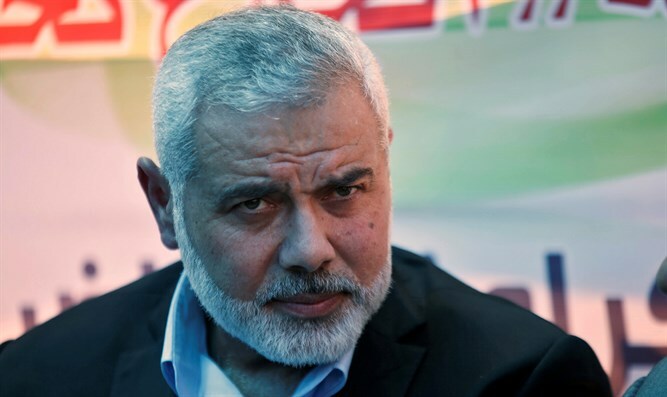 Egyptian security forces recently uncovered an Islamic State (ISIS) cell which plotted to kill Hamas leader Ismail Haniyeh, the Egyptian Al-Dustour newspaper reported on Wednesday. According to the report, the cell which was made up of 18 terrorists, was arrested while trying to sneak into Gaza. The terrorists reportedly plotted to blow up the mosque in Gaza in which Haniyeh prays on Fridays. ISIS's Sinai affiliate, which is known as the Sinai Province, has claimed the majority of the attacks in the Sinai Peninsula in recent years. ISIS, which follows a Salafist interpretation of Islam, has also targeted Hamas. In August, a suicide bombing near Egypt's border with Gaza killed a Hamas guard. It was the first time a suicide attack has targeted Hamas forces in Gaza. The Salafists clash with Hamas, which rules Gaza, arguing that its interpretation of Islam is too moderate.